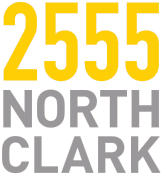 We absolutely love 2555 N Clark! The staff is extremely friendly and attentive. The amenities are so great. And the residents are wonderful! Absolutely love living here! We were looking for a long time for an apartment but never found one that fit until we heard about this building from current tenants! The apartments are beautiful, updated and management is very responsive! 10/10 would recommend! This place is one of the best places I’ve stayed and that has an amazing view. I would recommend this place to all my family and friends!!!!! Great location, amazing staff. Units are nice, updated, and spacious. Rooftop could use some additional amenities (bathroom, pool) and wish the gym was bigger and had more equipment. I adore living here, I definitely recommend this building to anyone. The staff are always helpful. The only negative is it is very noisy in summer when they are doing maintenance. I just recently moved in to 2555 and could not be more blown away with the experience, the apartment and the staff. The process itself was very easy, the apartment was EXTREMELY clean with fresh paint and carpet in the bedroom and the staff has all been friendly and introducing themselves. I can't think of one complaint, and already referred some friends to live here too! Its nice to feel like I have a true home in this big city. Amazing location, friendly staff, great ammenities, and a high value quality of units. Ever since the initial tour my fiancé and I couldn’t wait to move in, and once we had everything has met or exceeded our original expectations. While I have not formally moved in yet, thus far, the resident services have been extremely friendly and helpful. I really like the apartment and the buildings' amenities and I also think the surrounding area is really great. All the staff are helpful and courteous, they are always happy to help. During the Summer, it can be noisy, especially as there seems to be a lot of maintenance which seems to be slow to complete. The front door staff really make 2555 N Clark a welcoming place to come home to every day! (and when leaving in the morning too :)) Thank you! I adore living here, however, the noise can be very loud when they are doing work so i can't stay in the apartment and do my work during the day. Love the neighborhood and maintenance staff. Wish the front desk staff was a bit more consistent (lots of temps recently who are not as helpful) and wish the rooftop had a bathroom and pool, but otherwise we've had an amazing experience in this building! Awesome location. Everything you need is within walking distance and close to the park. Very friendly staff. Love the amenities and updated apartments. The staff is always welcoming and knows who you are. The building is very well kept and cleaned often, and the amenities are nice. I love the little events that happen during the holidays or summer, as they're a nice pick-me-up to come home to! such a nice, quaint place to live..I enjoy the staff they are very pleasant and the office manager and staff is wonderful and whenever there is a concern they are happy to address it. I love the neighborhood, my apartment and the staff! The maintenance and door staff are the nicest and most helpful people! At times, noise and construction have been issues within the building. Still a very nice location in a very nice neighborhood. Ongoing facade work is very inconvenient though and causes noise, water leaks and dust. Very bad experience with facade workers not cleaning up their mess. We’ve had our ups and downs through our year plus stay so far. The location and space of our two bed is great. The views amazing. They have been doing work on the building since we moved in, which has been super annoyed as I stay home during the day. They are switching from RCN to Comcast, yea! But switching his type of stuff is always annoying. Management staff changes kind of quickly. Door and maintenance staff are steady, reliable and helpful. The staff is amazing and the amenities make the experience of living here even better. The non-stop construction and work happening to the building is tiring. I work from home and the noise is unconscionable. When moving in, I was told the construction was almost finished (e.g. the roof deck). The facade work is ten fold the noise level. I am better off taking a conference call from the lively Starbucks or the loud HopCat next door than I am at home. Moreover, I feel for all the pets in the building; their ears are far more sensitive.